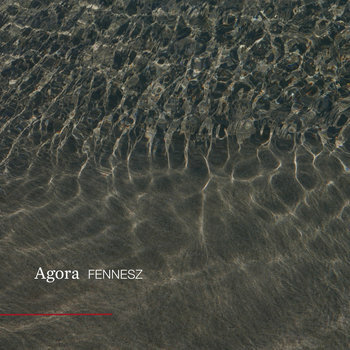 Agora is Christian Fennesz's first solo album since Mahler Remixed [Touch, 2014] and Bécs [Editions Mego, 2014]. Fennesz writes: "It's a simple story. I had temporarily lost a proper studio workspace and had to move all my gear back to a small bedroom in my flat where I recorded this album. It was all done on headphones, which was rather a frustrating situation at first, but later on it felt like back in the day when I produced my first records in the 1990s. In the end it was inspiring. I used very minimal equipment; I didn't even have the courage to plug in all the gear and instruments which were at my disposal. I just used what was to hand."